Successfully Added Portable Outdoor Bluetooth Speaker - Bluetooth 2.1+EDR, Dustproof, IP65, Hands Free, Micro SD Card Support to your Shopping Cart. Take the fun outside with this portable weatherproof Bluetooth speaker. Enjoy a picnic outdoors, a barbecue in the backyard or splashy pool party – this cool speaker can take all kinds of weather and spice up any event with your favorite tunes. This compact Bluetooth speaker is a great companion for any outdoor outing. Whether you are heading out for a hike or just want to relax on a camping trip – adding some cool tunes to your day has never been easier. The speaker is small and lightweight, and can easily fit into any bag or backpack. It also comes with a convenient handle at the top and can be hung from a tree, a bike’s handlebar or more. 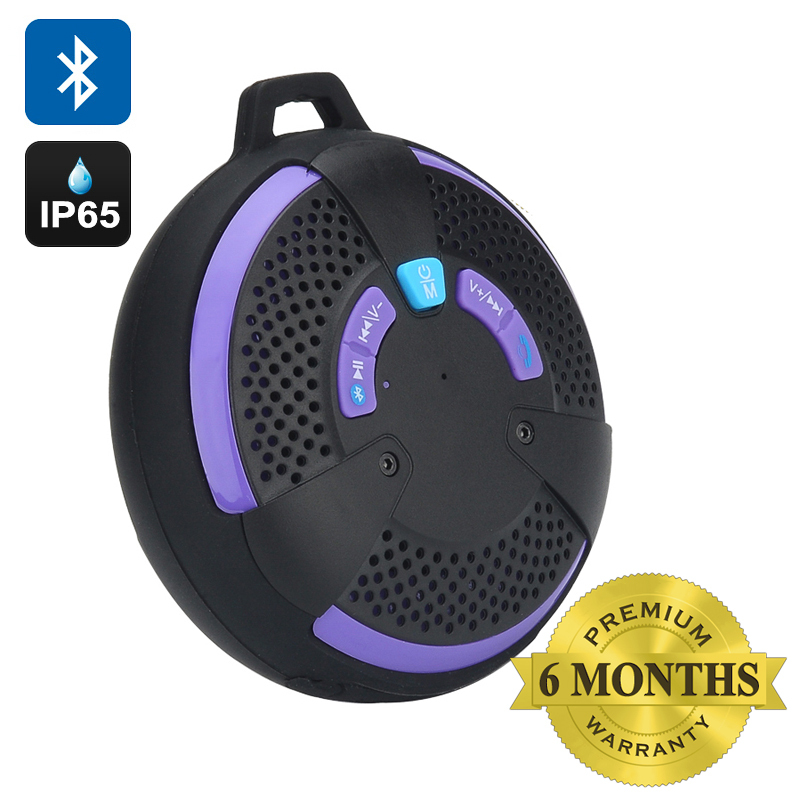 The Bluetooth speaker is IP65 rated dustproof and weatherproof – so you can easily bring it along to the beach or keep listening to music even if starts drizzling. Featuring Bluetooth 2.1 + EDR (enhanced data rate), the speaker will smoothly communicate with your other Bluetooth devices: smartphone, tablet, etc. What’s more, thanks to the support of a micro SD card, you can store your music directly on the speaker – up to 32GB. With the built-in mic, you can also use the speaker for hands free calls – a great way to pick up a call if you are out in the backyard or doing some housework. The weatherproof speaker comes with a 500mAh battery, giving you up to 3 hours of uninterrupted music play and up to 5 hours of talk time. The Portable Outdoor Bluetooth Speaker comes with a 12 months warranty. Brought to you by the leader in electronic devices as well as wholesale Bluetooth speakers..